Take steps to improve sales on your mobile devices. Do you think that spending time on mobile devices for product selling is a useless effort? Think again, because you will be forced to change your perception with this statistical data. As per the eCommerce report, mobile devices accounted for about 29 percent eCommerce sales for the year 2015. Keeping in mind the share of mobile devices in online shopping, it is practically important to spend time on mobile commerce activities. Restricting your customers with your desktop sites will lead to fall in your conversion rate optimization activities and sales. Mobile devices are now everywhere and so it is not surprising to understand that people do perform online shopping and search through them only. Here are the few tips businesses need to learn while utilizing the services of any mobile web development services company. Check the loading time of your mobile site for achieving higher sales and conversions. People who shop through mobile devices don’t have much patience. They are willing to wait for few seconds only for the proper loading of a site. The ideal loading time of a site for mobile shoppers is said to be 2-3 seconds only. A site that takes more than 5 seconds is usually abandoned by customers and is not considered for an online purchase. According to a report by Kissmetrics, “A one second decrease in the page load time can lead to 7% increase in conversion rates”. Slow loading website also affects the checkout behavior of a customer. To understand this, take a quick look at the graph that shows the relation between load time and cart abandonment rate. It is important to discuss the loading time of your mobile site with your hired mobile web development company for maximum customer engagement. Understand the relationship between loading time and abandoned carts for higher conversions. Simplify your mobile checkout process for grabbing instant product sales and conversions. Usually, the checkout behavior on a mobile site is too slow and boring that deviates the attention of mobile customers. It is not finger and thumb responsive enough that makes it difficult to perform checkout for a quick product purchase. You need to include minimum checkout steps and auto fill facility for your mobile customers to simplify the online shopping experience. Offer bigger CTA buttons and web forms that make it easy to click and enter required information. 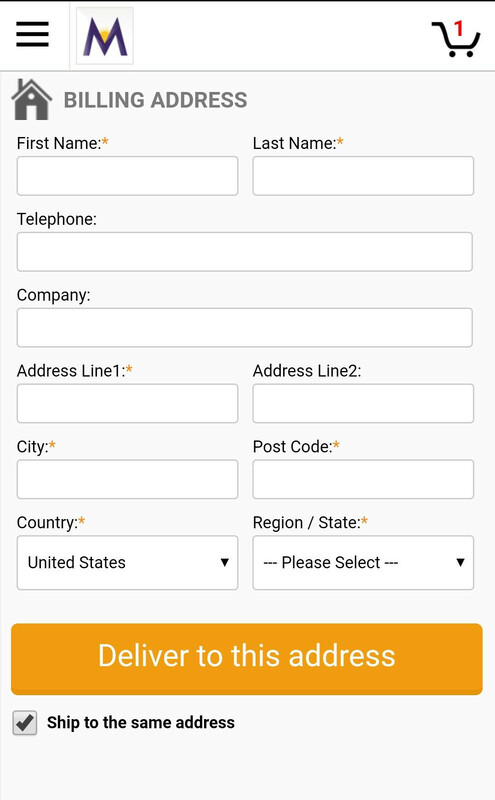 Design a mobile checkout process with the expertise of a mobile web development company that do not ask to enter payment related information. It should be capable of retrieving customer specific information through forms and other mediums for a quick checkout process. Add Continuous Scrolling on Category Pages- This design pattern is seen in most of the eCommerce sites that offer user a quick view of all the items within the same category by scrolling down the site. It does not require the loading of every product item that saves the time and the required content is just added during the page scrolling. This type of user interface is evident on the sites like Pinterest, Twitter or Facebook which can be scrolled continuously till there are no more pins, tweets or posts. E-Commerce sites can offer a better online shopping experience to customers by providing continuous scrolling facility during the product viewing. This saves a lot of time by avoiding the time that is spent on the loading of the each page which helps in simplifying the online shopping experience. Add mobile videos to increase customer interest and sales on your mobile site. Product videos are more gripping than plain written text as they make a long lasting impact on the minds of customers. These 2-3 minutes videos can grab customer attention more quickly than a lengthy 200+ content. Include product videos that can guide customers regarding how to use a particular product, maintenance, tips and guidelines for product handling or any other such information. You need to work with your mobile web development team that can help in incorporating amazing product videos on your mobile site. It is the need of the present hour that you need to start focusing on the mobile devices for optimizing the site conversions. If you are still not active in this direction, it is bound to affect your long term plans for customer engagement and business expansion. So, start improving your mobile user experience with the help of a reputed mobile web development company.